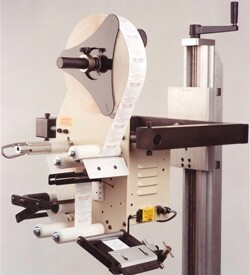 Designed and manufactured to be a reliable, yet affordable, industrial grade "Wipe On" labeling system which is easy to operate. The Brushless DC motor offers maximum web speeds of up to 500" per minute, and can accommodate a wide range of labels from 1/2" x 1/2" to 5" x 15". The TAL-3100W is compact in size, making it a perfect choice for applications where space is at a premium.